Celebrating our 21st year in business LoFaro & Reiser assists Monmouth County property owners and lenders in residential and commercial foreclosure cases and bankruptcy proceedings venued in Newark, Camden, and Trenton. 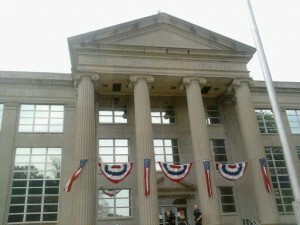 Our lawyers appear in the Superior Court of New Jersey, Monmouth County, located in Freehold, New Jersey. Property owners and mortgage holders requiring assistance in a foreclosure or bankruptcy matter in Monmouth County, New Jersey should complete our online contact form. One or our experienced New Jersey foreclosure attorneys will respond to your inquiry within 24 hours. For urgent matters, please call (201) 498-0400.